If you’re one of the millions of people in the United States who suffers from allergies, then you’re likely familiar with the fevered search to purchase items on the long list of remedies that companies promise will help make you feel better. From air purifiers to hypoallergenic bedding to allergy medications, many people are willing to sink a lot of money into figuring out the secret to squashing those miserable allergy symptoms just to get the relief they so desperately need. In the midst of seeking any and every solution possible, many allergy sufferers overlook one of the main culprits that may well be contributing to those headaches, runny noses, and breathing difficulties. You probably spend about eight hours of every day breathing in whatever is on your bed. You can’t see these allergens, but every time you lay down in your bed, you’re likely breathing in the microscopic waste of dust mites or dander that your pet shed. Both of these allergens are commonly found in bedding, and both can cause or exacerbate allergy symptoms for anybody susceptible. Dust mites are drawn to the skin cells we shed. As such, they thrive in our bedding. 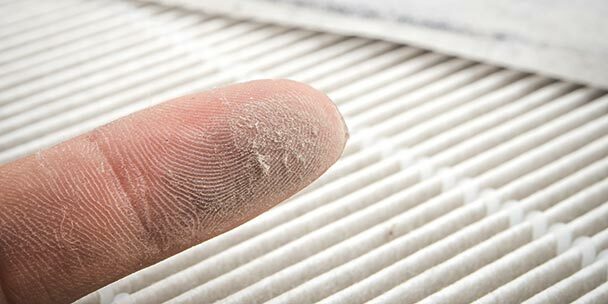 If you’re allergic to dust mites and haven’t yet invested in a hypoallergenic mattress cover, there’s a good chance you’re spending a solid portion of each day breathing in their waste and, perhaps, suffering the consequences. Reducing allergy symptoms is one of the primary driving reasons that people purchase mattress covers, but it’s not the only benefit you get from them. 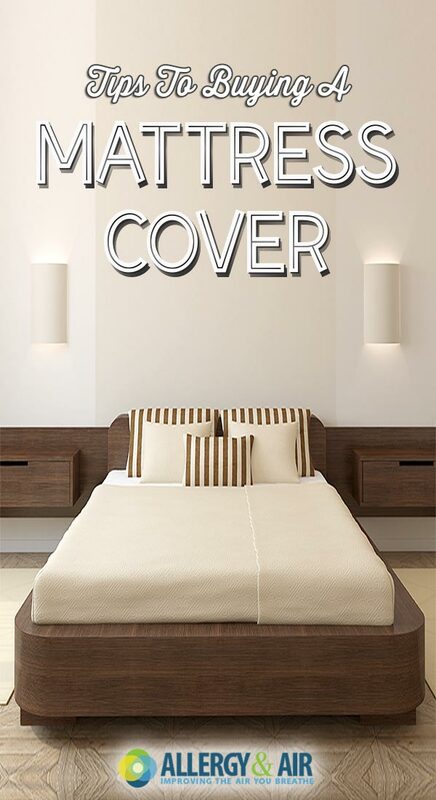 They provide protection from wear and tear that extends the life of your mattress. They’re much easier to clean than the mattress itself. You can take them off and throw them in the washer. They keep bugs – including bed bugs – away from your mattress. They help keep your sheets in place so you don’t deal with a lot of uncomfortable bunching. They protect your mattress warranty – some higher end mattresses will void your warranty if you don’t get a mattress cover. They help prevent liquids from seeping into and damaging the mattress. And, of course, they keep dust mites off your mattress so you don’t breathe them in while you’re sleeping. Mattress covers can serve a number of different uses. Many of the mattress covers on the market will be suited for more than one of these features, but some are definitely designed in a way that prioritizes one or two features over the others. Your priorities should help guide you toward the mattress cover likely to accomplish the main goals you have in mind for it. While it’s the main focus we’re covering in this guide, not all mattress covers make the hypoallergenic feature their main selling point. If reducing your exposure to dust mites and the allergy symptoms they cause is your top priority, then you should seek out a mattress cover that touts this as one of its main selling points (and has the accolades from reviewers to back it up). That inevitably means a mattress cover that completely encloses the mattress and is tightly woven – in other words, it can’t be so porous that tiny dust mites can get through the fabric. Most mattress cover brands that emphasize allergy resistance will also recommend that you wash your mattress cover once weekly in hot water, so any mattress cover that suggests warm or cold water settings for the wash probably may not be your best bet. For some customers, the hypoallergenic feature of a mattress cover is a side perk to the main purpose: protecting the mattress from spills and accidents. If you have a child or dog prone to wetting the bed, or a clumsy family member that tends to spill things with some frequency, it doesn’t have to mean ruin for your mattress. Many mattress covers are effectively waterproof, so your mattress stays clean and doesn’t need to be replaced as often. For some nicer mattresses, a waterproof mattress cover is important to making sure your warranty stays valid, so if that’s a top concern for you, make sure to seek out a mattress cover designed to be waterproof. Bedbugs have become a scourge in many cities in recent years. They can make your nights miserable and ruin whole sets of nice furniture. 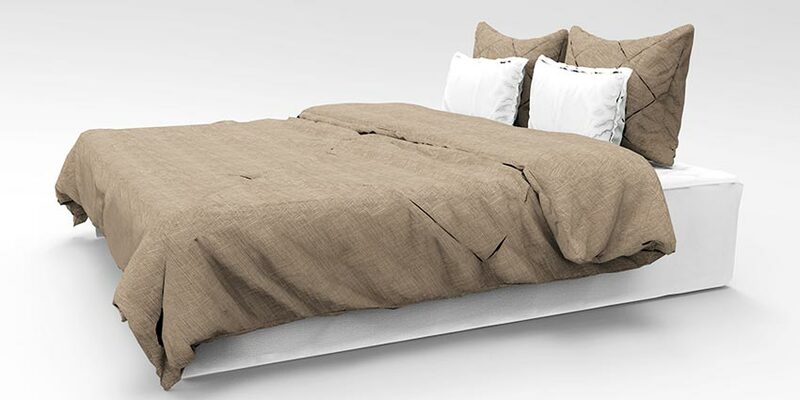 You can avoid the worst of a bed bug infestation with the right mattress cover. It won’t save your couch or recliner if they’re already infected, but it will help you save your mattress. A mattress cover designed to help with bedbugs will have many of the same features as those designed with allergies top of mind – they’ll fully enclose the mattress, will be non-porous, and will usually have a zipper to keep the bedbugs out. Many of the mattress covers you come across will likely claim to be good for all three of the features above, but this is a more specialty feature. If where you live is cold and you want to save money on your heating bills, or just like the idea of some extra warmth during the winter months, you can look for a heated mattress cover to help make your nights cozier. Padded mattress covers are pretty common for those who want a little extra comfort. Keep in mind, there are mattress pads that are just that, and don’t provide any of the other features we’ve discussed, like being waterproof and hypoallergenic, so if you want a padded mattress cover that also checks those other boxes, you’ll need to seek it out specifically. You also always have the option of buying a mattress pad separately, and using it with an unpadded mattress cover. In addition to the main features you want from your hypoallergenic mattress cover, there are a number of additional factors to consider when looking for the bedding that’s right for you. Latex, wool, polyester, and cotton are some of the most common materials you’ll find when looking at hypoallergenic mattress covers. They’re all naturally allergy resistant, but cotton and wool are nice and soft, while polyester and latex are better for being allergy and water resistant. In most cases, you’ll find mattress covers that are a mix of materials to take advantage of the benefits of different types. Anything that goes on your bed will have to accomplish one of the most important tasks a bed is called to: being comfortable. A mattress cover should be something you don’t feel at all, unless it adds a little extra padding and makes you more comfortable. The hypoallergenic mattress covers of old were often stiff and squeaky (particularly the waterproof ones), but companies now sell many covers that are more comfortable or that you don’t feel at all. The main things to be on the lookout for today are covers that don’t breath well so you end up feeling hot throughout the night, and covers that cause the sheets to bunch or otherwise not move naturally and comfortably. Some customers will be sensitive to these things; others won’t notice one way or another. If you fall into the sensitive category though, it’s important to locate a mattress cover that won’t cause you any discomfort so you can sleep as well as ever. Your mattress cover should fit your bed seamlessly. You’ll be able to see the size of bed your mattress cover is designed for before you buy, which should make finding the right size fairly simple. Some do fit looser on beds than others (different beds have different thicknesses) and if you use a mattress pad, you may want to look for one that runs a little large. As with many things, a mattress cover that costs more will often deliver superior results or protect against a higher number of things. That said, you do want to check reviews for any mattress cover before you buy, a higher cost doesn’t always seamlessly translate to higher quality, or it could mean it has higher quality in the ways you care less about than the uses that are a top priority for you. You can find hypoallergenic mattress covers than range in cost anywhere from around $20 to $150, with most falling somewhere in the middle. Even the lower end ones should provide some relief – completely encasing your mattress in something you can easily wash weekly can make a big difference. Mattress covers that cost more can sometimes perform better in terms of comfort, being waterproof, and providing a higher level of protection. 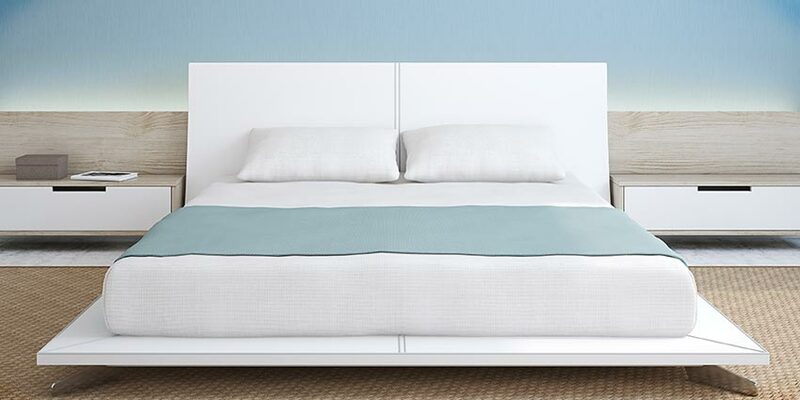 Thread count can be a meaningful measure of comfort for any type of bedding, but with hypoallergenic mattress covers, a higher thread count also speaks to better protection. 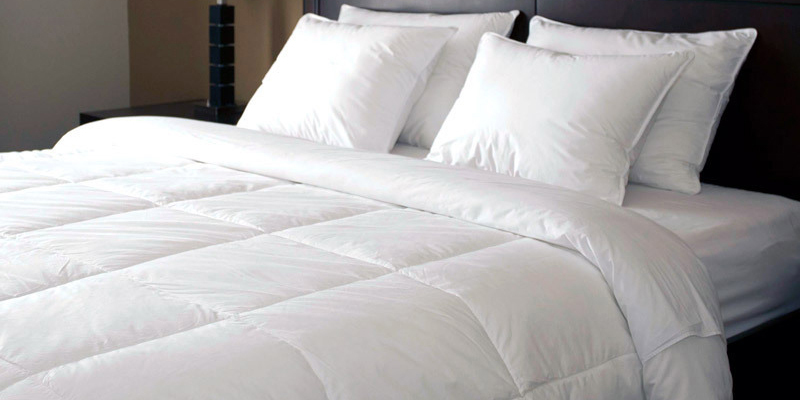 A lower thread count results in fabric that’s more porous, meaning smaller particles and bugs can get through. 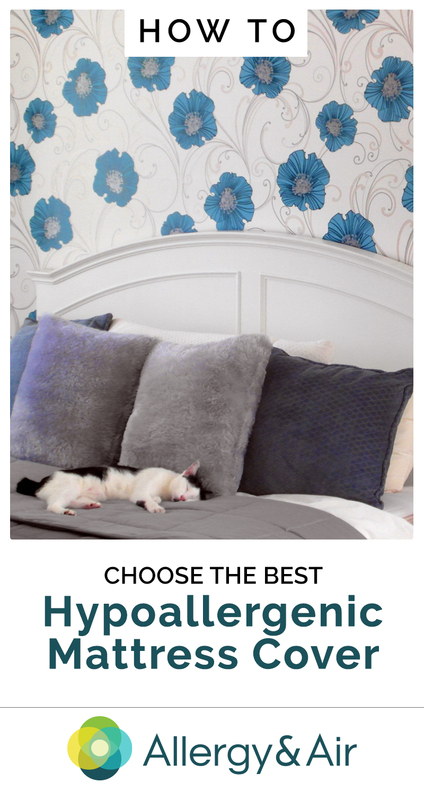 Part of what makes a hypoallergenic mattress cover effective is that it’s designed to be nonporous enough to keep dust mites and other allergens out, which is easier to pull off with a higher thread count. A lot of higher end hypoallergenic mattress covers come with a warranty, so you should be able to count on their durability. A well-made mattress encasement should last you years without needing to be replaced, but some brands or types can tear easily or have issues with the zippers breaking off. Check out what kind of warranty the mattress cover you want offers and give a quick look at the reviews to see if any customers complain about their cover tearing or being worn out within a short amount of time. While you want your mattress cover to be nonporous enough to keep out the dust mites, many of the materials that are best for that don’t breath well, which means they get hot. There are mattress covers on the market that manage to be effectively hypoallergenic and not add too much extra heat to your bed, but they can be tricky to find. Cotton and wool are often better in this regard than polyester and latex, so consider mattress covers made of blends heavier on those materials if you’re concerned about heat. An important part of getting the full benefit of a hypoallergenic mattress cover is washing it in hot water every week. If the washing instructions are complicated or tedious, you might find yourself disinclined to bother with this step, so consider what’s involved in keeping your mattress cover clean before you buy, so you’ll be sure to keep up with it and get the hypoallergenic benefits. It’s not always easy to distinguish between the allergy solutions that are legitimate and those that will cost you a lot of money with little results. One of the best ways to feel confident you’re making a smart purchasing decision when buying a hypoallergenic mattress cover is to read what other customers have to say about their experience with a brand. We looked at the reviews for a number of different mattress cover brands to provide you with a summary of what people are saying about each. AllerEase sells affordable mattress covers that get mixed reviews. While there are many reviews praising AllerEase covers for helping the customer rid their bed of bed bugs, there are other reviewers complaining about the opposite – that they didn’t do a thing for their bedbug problem. The most common complaint we saw was about durability. Several customers mention their mattress cover ripping quickly or the zipper coming off. Most of the reviewers who mentioned having allergies weren’t too impressed with the difference these made, but there were exceptions who did find their symptoms decreased with use of their AllerEase cover. CleanRest gets predominantly positive reviews from customers. Almost all of them say that the mattress cover did wonders for the allergies they’d been suffering, and most went on to praise how waterproof and comfortable they are. The main complaint we came across in their reviews was that the mattress covers don’t come in enough sizes, so some customers ended up with one that was too large for their mattress and had to tuck the excess under the bed. Other than that, the customer response shows them to be a reliable choice to go with. 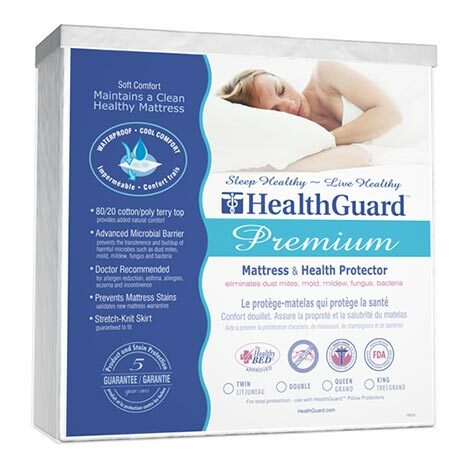 HealthGuard’s mattress covers didn’t have as many reviews online as some of the other brands we looked at, but there were still enough to get a snapshot of what customers think. The consensus appears to be that their mattress covers are a high-end product that’s well worth the cost. They’re effectively waterproof, but while remaining comfortable and silent. They’re great for allergy sufferers, and they don’t add any extra heat to the bed, which some customers really appreciate. Reviews for Luna’s mattress covers were almost uniformly positive, other than a couple of customers in warm climates complaining that they make the bed too hot. The most common praise they receive is for how effectively waterproof their covers are, although they do get a few mentions for helping customers with their allergies as well. Reviewers say they’re comfortable and some commented on how well they breathe, although the reviewers aren’t all in agreement on that point. As with Luna, most of the SafeRest reviewers were primarily concerned with the waterproof feature of their mattress rather than the hypoallergenic one, but the reviewers that specifically mention allergies were impressed by how well their SafeRest mattress covers performed. Reviewers in homes where spills and accidents are common (lots of them mentioned having kids and pets) give them strong accolades for protecting their mattresses from accidents of various sorts. On the whole, people are happy with their SafeRest covers and find them to be a solid purchase for the cost. Eliminating allergy symptoms tends to include a lot of trial and error, but many people find fast relief once they turn their attention to the place that they sleep. Whether you just use a pillow cover or completely cover your bed with hypoallergenic bedding, there’s a pretty good chance that you will start to rest easy right away. This is especially true if dust mites are keeping you up at night. 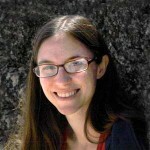 Kristen Hicks is a copywriter and lifelong learner that turns her curiosity toward exploring a number of interesting and educational subjects for AllergyAndAir.com readers. She lives in Austin, TX with an excitable dog, an ever-growing book collection, and a (usually) well-stocked wine rack. You can find her on Twitter at @atxcopywriter. This is great info, thanks. What sizes, are they expensive? Long time dust mite sufferer. Thanks for your research. Good article. A basic question – I encase the mattress with the hypoallergenic mattress cover – can i cover the cover with regular sheets or would that beat the purpose? Thank you for this information. I bought a down pad that sits on my mattress which was almost $2000.00. Now I find out I am allergic to it. I just hope the cover will help. This information was very helpful. Thank you for your research. I read every word. I did not skim read as I usually do. Now I must choose the best for my needs within my price range. However; I see the importance of perhaps expanding my price limit for my health. thanks! I appreciate your work on this!